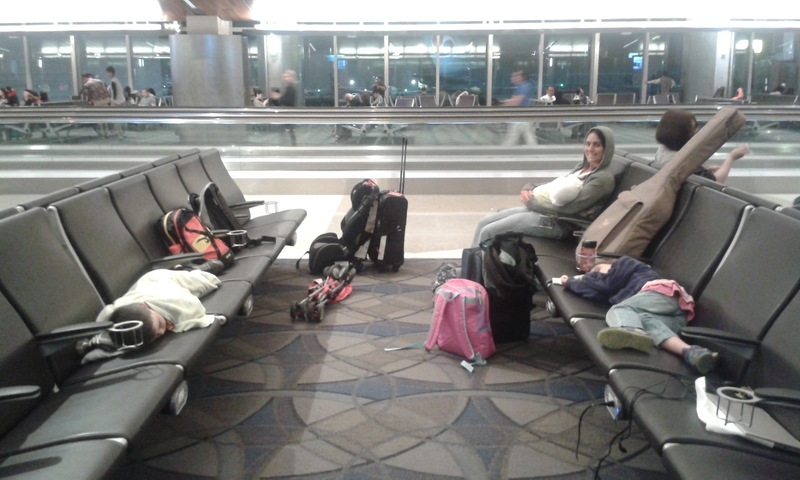 The kids thought they would be awake til our plane left at 1:25am. Wrong! The last few days have been a blur as we’ve rushed around making lots of things happen, a very non-Thai way of doing things. After landing in Chiang Mai, our friend, Cindy, picked us up and drove us home where we are currently staying. We greeted everybody and had a huge meal, about 24 people in all (our family plus the Charis CEO who just happened to be visiting and the rest live in the two houses on the property!). We then went to sleep. I slept well that night after the 24 hour flight with limited and erratic sleep and very short layovers, about 9 hours total with limited interruption. 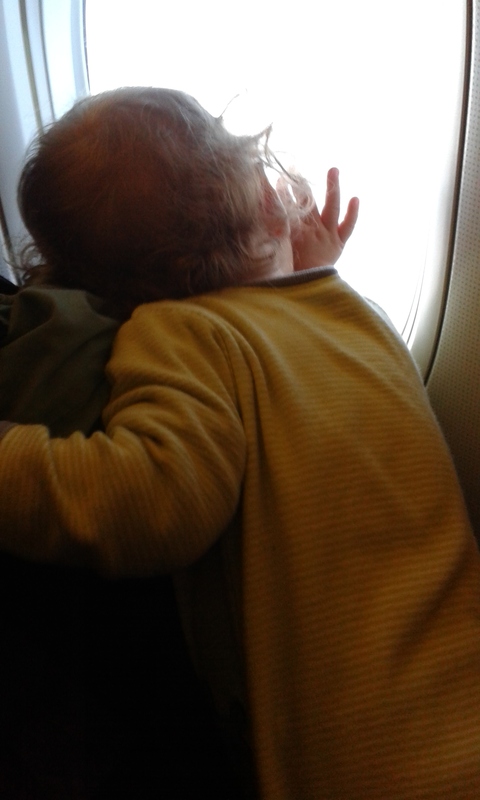 Little B’s first plane ride. He was totally enamored with the scenery on the way down. The next day had us going to the super market, Macro, which is a lot like Costco but more of a grocery store. We picked up some fruit, longkong and rambutan, along with eggs and other foods that our hosts wanted. After getting home, being in the jet-lagged zombie state that I was, I attempted to take a nap which was sporadic at best. This was followed by us picking up the truck we’d purchased across town. 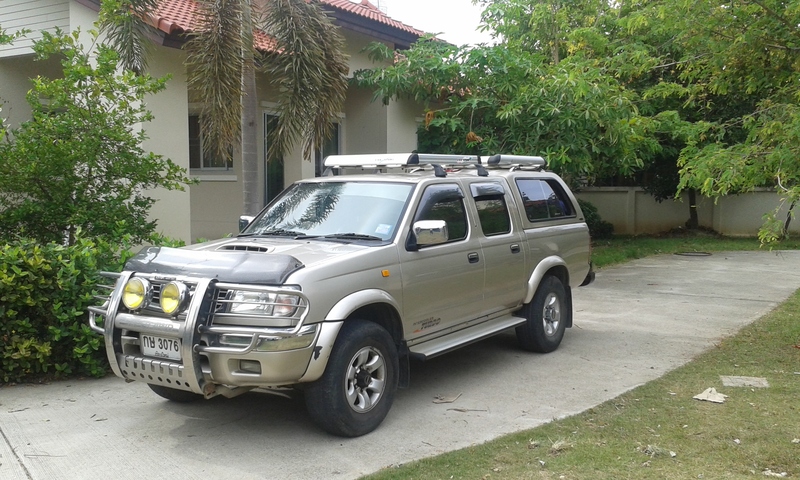 It’s a 2002 turbo diesel Nissan Frontier. I’ve driven trucks in the past, but this is the first I’ve owned. It’s a 4×4 with extend cab and “carryboy” shell on back with storage on the cab and shell. I’m looking forward to driving this in the rain on the farm. This is the manliest vehicle I have ever owned! Just in case you were wondering, our son is the one falling asleep as everyone sings Happy Birthday to him. That night, Cindy made a Thai dinner in honor of our oldest son’s 8th birthday. 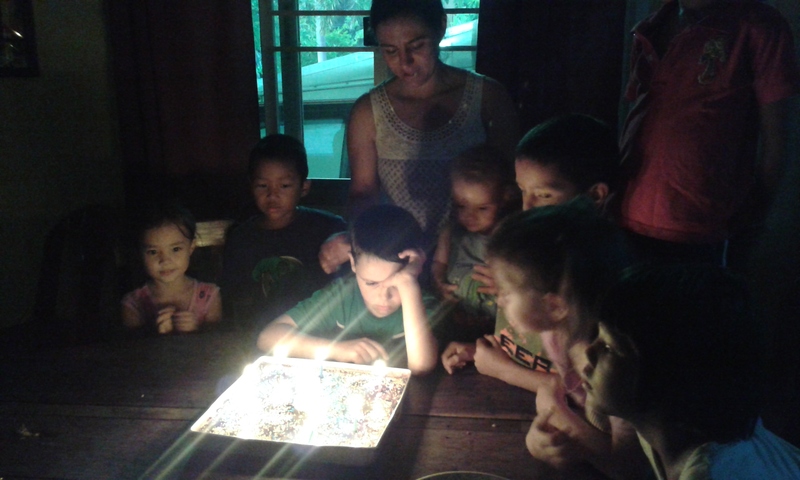 Sadly, his birthday only lasted about 10 hours as we passed the international dateline on our way over on June 8th. So this was a very nice gesture for him. We had a home-made chocolate cake and then went straight to bed. I LOVE driving these little bikes. The most fun I’ve had in a long time. The next day, we started the process of getting my work permit and set up our cell phone coverage. The afternoon had some fun in store with a couple scooter rides to a photo place. I want to take this time to say that I’ve had 4 separate photo sessions in the past 12 months for government documents (passport, visa, international driver’s license and work permit). I guess this is a thing for people who travel between countries? After taking the pictures, I needed some time to kill while waiting for the photos to be ready for pickup. So I took the kids on scooter rides around the neighborhood. This was probably the best experience I’ve had since being here, sharing something purely fun with my children. I think I’m learning that the Good Life is best lived slow. I’m glad the initial rush is over. I think we could have taken it a lot slower, and I wish we had. Maybe added some walks or sightseeing into the mix. But now, it’s all done and we can relax this next week before we move on to Mae Sot where we’ll begin searching for own home. Thanks for the photos and update. It’s a good life! Love you all. I must say, I am impressed. I can barely drive a left sided manual transmission in traffic while alert. Great update. So excited for you guys. Looking forward to being a part of your lives through your updates. awesome!!! 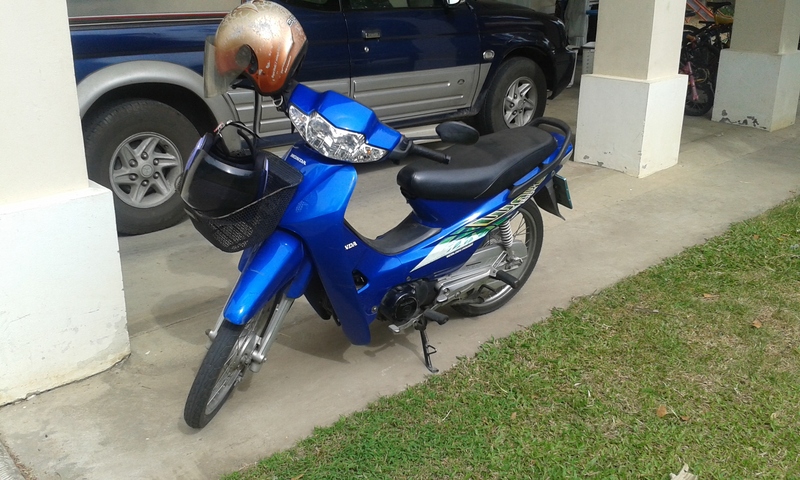 Their are so many scooters in Thailand!!!! !